What Do Fuzzy Caterpillars Have To Do With It? 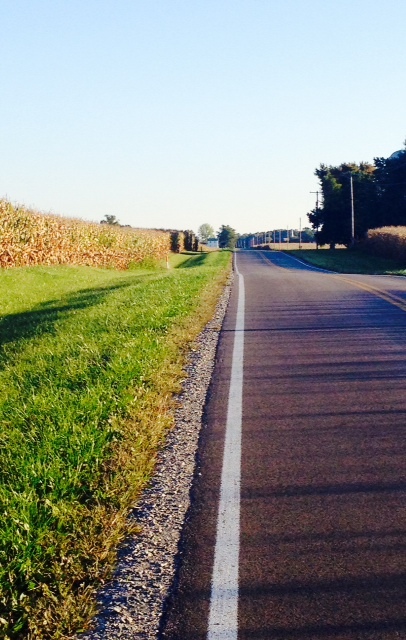 The past few days on my evening run (I wouldn’t have believed it either if you’d asked me six months ago! 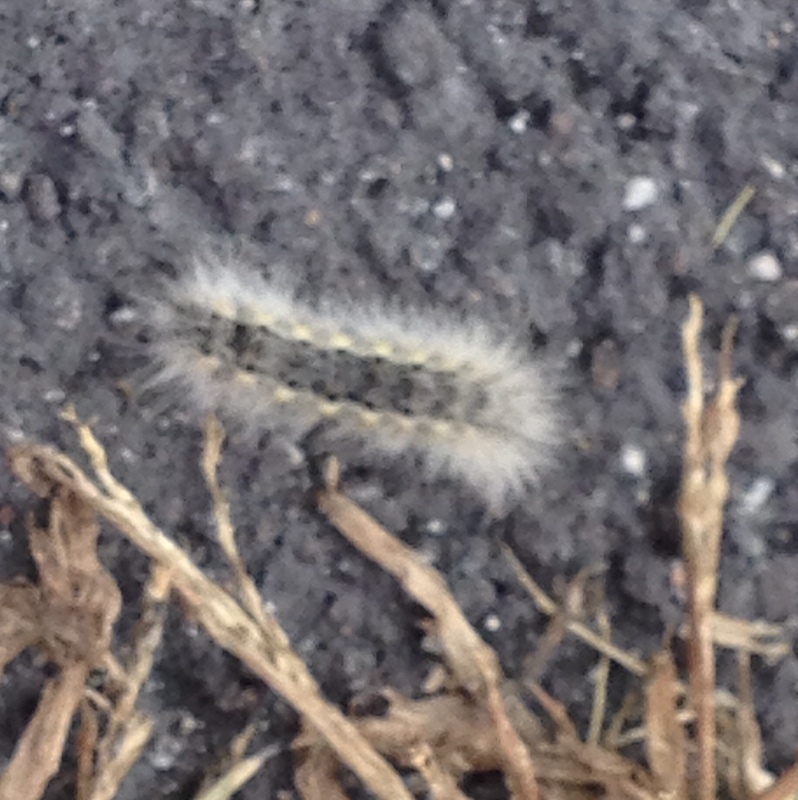 ), I noticed several fuzzy caterpillars cross my path and thought of my grandma. I live on the same road that she did and on the “back” of my “out and back” route I can see her old house as I return to mine. Strangers live there now. She’s been gone from this world for 16 years now. It hardly seems that its been that long since she put her arms around me and hugged me. I still remember that giddy feeling I’d get in the bottom of my stomach, that rising excitement and face-splitting smile that’d cross my face when my Dad turned our old Malibu station wagon on to her country road and her white farmhouse would pop into view. My sister and I would bounce on our seats – “we’re almost there!” Almost too Grandma’s house and staying up late to watch Dallas, eating frozen oatmeal cookies and laughing uncontrollably over a hand of cards. I miss my grandmother. I miss getting her letters and hearing her voice on the telephone. I miss lemonade under the big tree and sleeping under the light-up Jesus picture on her living room floor. When we moved into our house twelve years ago I wasn’t sure how I’d feel about seeing her house everyday and knowing she wasn’t there. I thought it might make me sad. For the longest time I’d used my magical thinking powers to “pretend” that she wasn’t gone, gone. She was just in Florida or on vacation and would be back soon. My twenty-something self couldn’t bring myself to think of her as dead. It seemed so, so final. When I see her house now though, I smile even though I know she isn’t there or in Florida or on vacation. While she may not be on this earth, she is in my heart. I see her in the smiles of my children. So when I see a fuzzy caterpillar cross my path on a run and pretty yellow butterfly, I think of her. I wonder if she sent them to me as a sign that she’s still around, that she’s smiling and proud of me. What do fuzzy caterpillars have to do with it, you might ask. Well, here’s the story. When my sister and I would stay with my grandma, we’d always take a long evening walk (she’d always take her manicuring scissors with her as protection from bad guys of course). As we walked along the side of the road she pointed out the caterpillars to us. She used to say you could tell how bad the winter would be by the color of the caterpillar. I, however, can never remember if it’s the darker the color the worse the winter or the darker the color the better the winter. The caterpillars around my house are pretty light-colored this fall so I’m hoping the light color means a light winter. 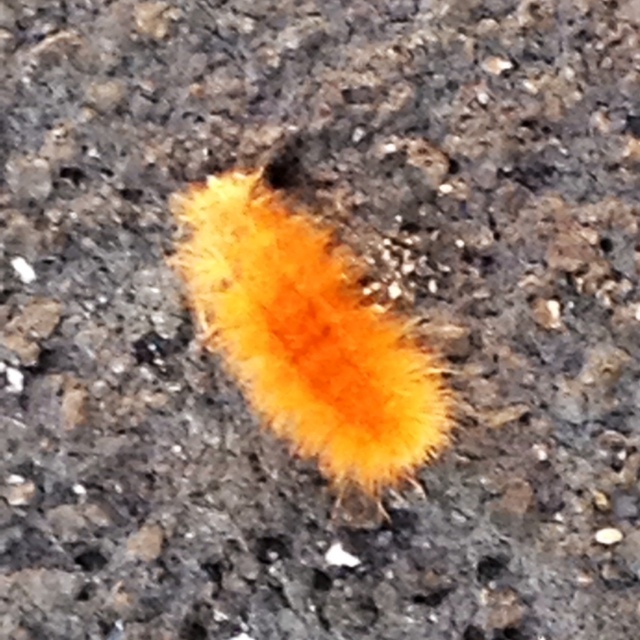 I Googled it and found out the caterpillars are actually called woolly bears or woolly worms. Unfortunately I couldn’t find a definitive answer on what the caterpillar’s color actually predicts. So, I’m thinking that legend is much like the ground hog’s shadow and winter will be what it will be. Does anyone out there know what the caterpillar color winter predictor legend is? I’d love to know! Thanks! I look forward to hearing more from you too. I miss grandma ! yes I believe she is watching over us all the time ! that is the first time I have ever heard that story! I remember the frozen cookies and the jesus pic !but nothing was better than her hugs her pb fudge was amazing but not even close to her hugs! Her pb fudge was the best! Yummy! Don’t know about the caterpillars, although I think I have heard something about them. I do like the connection with your grandma. That’s cool. Thanks – this morning my daughter found a really dark one – so who knows!